You can’t just hire smart people and hope for the best. 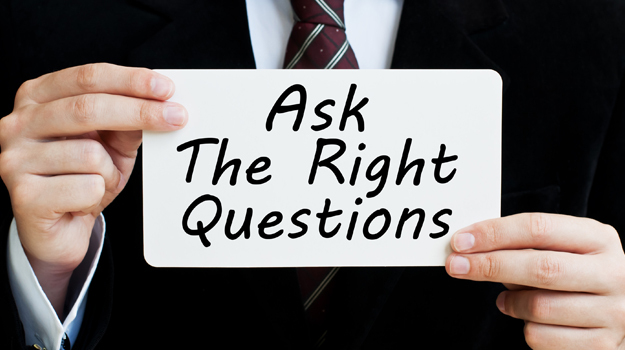 These questions will help you hire for the culture you want to incubate in your organisation. Building a strong work culture all starts at the hiring stage. These questions will help you hire team members who’ll help build a supporting healthy, high-performing culture. Based on what you’ve seen, what are a few areas where you’d focus in this role in order to address problems you believe exist today, or what we might encounter later? If you join the team, what would you tell your friends or family about why you chose to work here? Why are you passionate about our market and what we’d be building together? The best work cultures encourage entrepreneurial mind-sets of every team member, not just those in senior positions. Micro-management is a culture killer, so we’re not here to tell employees how to spend their time. We expect to see initiative at every level, including the entry level, and do our best to set these expectations during the interview process. However, people tend to take initiative in different ways; some team members like sharing their ideas in large groups, while others prefer to outline their thoughts and collaborate in smaller settings. Both styles lead to new perspectives. These are two questions you can use to see if a candidate is likely to take initiative, whatever way they choose to do it. You have a great idea for how to improve our product, but you’re worried about stepping on someone’s toes, what would you do? It’s your first day on the job and you have a few hours to kill before orientation. What would you do with that time? Most candidates will construct ideas that they think you want to hear. The candidates who demonstrate entrepreneurial thinking and confidence with their answers are those who will go on a short list. If hired they are highly likely to become informal leaders of their teams. If you hire people who can’t collaborate you will be going through the process again in three months’ time. A-players don’t always make good team players. Through the interview, our goal is to find out how candidates handle conflict. Do they blame others if something goes wrong or try to correct the situation? Or are they so solutions-orientated that they come across one dimensional or unaware how their colleagues might perceive their assertions. Some more questions to decide who, although they may be brilliant, they may not be good collaborators. Tell me about a disagreement you’ve had with a co-worker from another functional area. What was the nature of the disagreement, and how did the two of you work together to resolve it? We’ve all received feedback about where we can improve. What types of feedback have you heard consistently throughout your career? Tell me about one of your most trusted mentors. What have you learned from them that’s informed the way you work with others? The answers to these questions will shed light on how the candidate might fit into your organisation, partly during periods of high pressure. Hiring the most brilliant stars who will undermine your organisation just isn’t worth it. When you have hired the right person the next challenge is to get them engaged with the right on-boarding programme. This can be done on-line so the new hire can even start orientation before they turn up for work.